If not Now, Zen when? The sun is setting on the last day of my weekend (I work three days a week, take four days off…Lucky me? Darlink, luck has nothing to do with it!) and it was a great four days of painting, doodling. meditating, listening to music and audio books, and just sitting around enjoying the sun-drenched weather. Most of the little canvases in the photograph are in early stages; I only tiled them because they look nice together. they may look completley different when they’re done. I’m so grateful for this lazy, creative break…and find that I am also looking forward to going in to work, tomorrow, because everything has its beautiful moments and reasons for being, and I am eager…almost hungry, now, for the outside world and its energies and people. 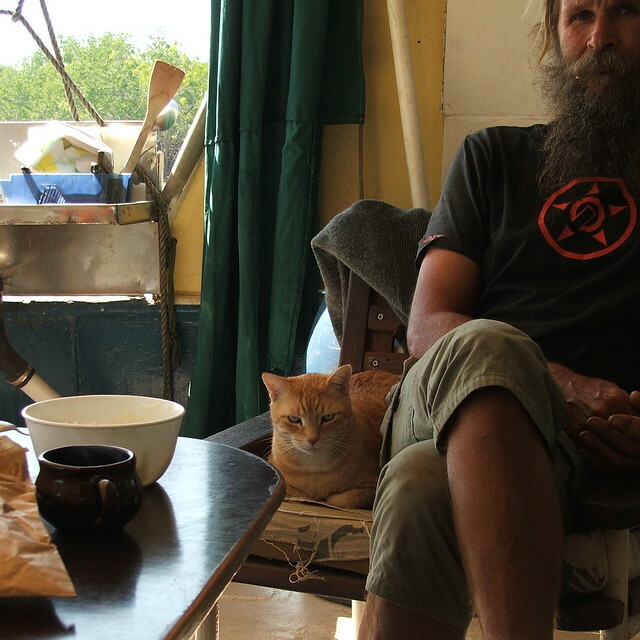 I’m off now, to enjoy the last of the light…parathas on the menu for dinner, using the freshly-harvested turmeric that’s been growing on the back of the boat for over a year. 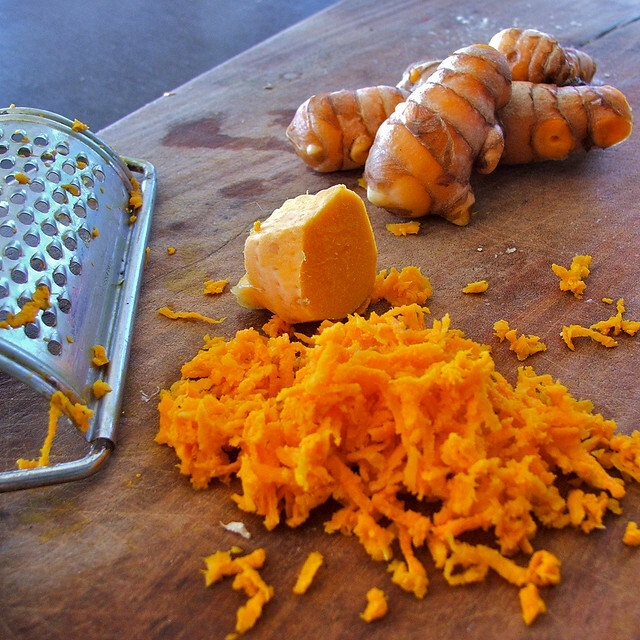 The deep yellow-orange color is unreal, and the flavor is milder than powdered turmeric. I am looking forward to what I imagine will be pale gold discs of hot parathas with yoghurt and mint chutney tonight! Those little images would be great on a set of blocks. I can see them now on a table! Oh, you are so very inspirational! 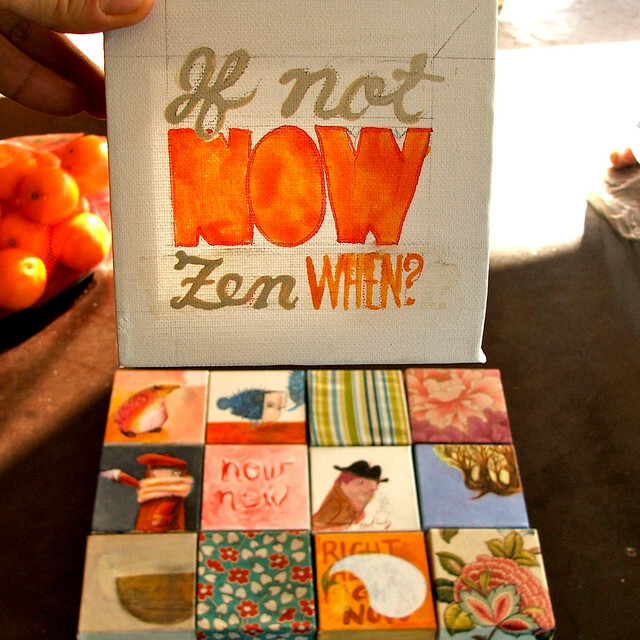 I just love that “if not now, Zen when?” good for me as I’m a highly talented procrastinator! Lovely, you can dig up tumeric there! It’s available at a local market here .. .do you have any recipes? I make tumeric capsules .. they are magic for fixing sore joints! I’d love to try cooking with the fresh version.